Aikido is a unique Japanese martial art based on the principles of universal harmony and non-resistance. It is a highly effective form of self defense that redirects or neutralizes an attack by using the opponents force against himself. Aikido is not a sport. There are no competitive tournaments. Students learn through repetitive practice. We work with each other, not against each other. 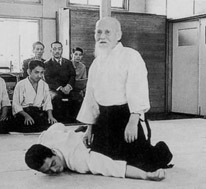 Aikido is the principle of non-resistance. When we stop resisting anything, we stop giving it power. Aikido practice is not just about defense. It improves physical conditioning: strength, stamina, flexibility, and coordination. It improves mental conditioning: self-confidence, concentration, intuitiveness, alertness, and concern for others. "I'll give it a try," says Luke Skywalker, and Yoda snaps, "Try not. Do. Or do not. There is no try." Motivated people who want to experience well-being and contentment. People who want to improve their health and who want to feel better about themselves. People who want a place where they feel comfortable regardless of their current fitness level. You don't have to be strong to begin developing strength. Men, women, and children who want to improve their functioning in life. People interested in developing a quiet mind and compassionate heart. People who want to feel empowered to accomplish what they want to do. People who are willing to give up what is not integrous in themselves, and replace it with confidence, dedication, humility, gratitude, perseverance, and tolerance. In the martial arts we are trained to empty our mind so we can meet whatever attack our opponent mounts freshly and appropriately. To do the techniques properly we rest in the still center. Aikido develops this strong peaceful center from which we can deal with whatever arises in our lives. This centering changes everything in your life: the way you sleep, the way you wake, the way you sit, the way you stand, the way you walk, the way you move, the way you breathe, the way you feel, the way you think, the way you create. It is a way of being in the world. 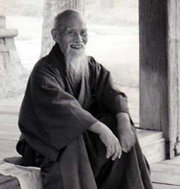 Aikido is a training system that provides us the means to actually experience a confident, calm, centered state. Through commitment and practice, spiritual concepts become experiential realities. Aikido supports our intention to become a healthier, happier, more loving and peaceful person.